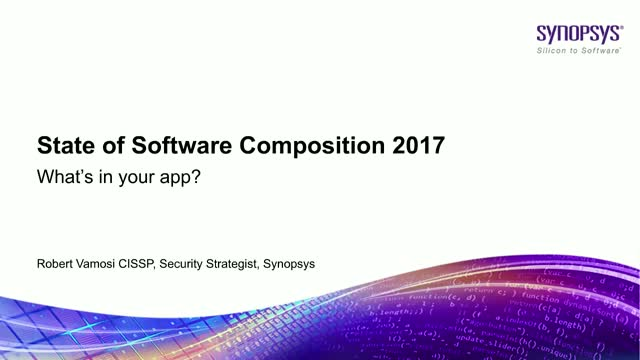 State of Software Composition 2017 - What's in your app? •The use of trusted repositories for open source software, preferably from the source. •The use of SCA to monitor the ongoing state of software decay. •The need to update third-party software libraries as appropriate throughout the lifecycle. Title: State of Software Composition 2017 - What's in your app?